Young traveller David Gray arrives in a remote castle and starts seeing weird, inexplicable sights (a man whose shadow has a life of its own, a mysterious scythe-bearing figure tolling a bell, a terrifying dream of his own burial). Things come to a head when one of the daughters of the lord of the castle succumbs to anaemia - or is it something more sinister? Beautiful, 24 June 2004 Author: kriitikko from Kirkkonummi, Finland Simply: it´,s beautiful work of art. No action. No slasher scenes. There is almost less speaking then in Aki Kaurismä,ki´,s films. Master of silent movie, Carl Th. Dreyer, uses more silent film magic than any spoken voices. Movie´,s style is from another world. Living shadows, ghosts, vampire in the foggy wood and (of course) the famous scene where man watch himself to be buried alive. There is no way you can say what this film is true and what dream. It´,s like Dreyer would have put he´,s own dream in to the screen. Nobody have done anything like this later, perhaps because the gray light that is all the time in the film came by an accident. There is no movie like this and no way there is another horror movie like this! 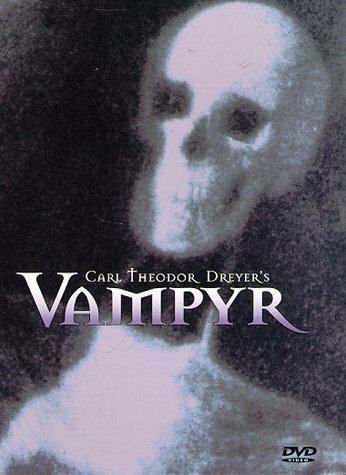 Vampire- movie fan can watch this with F. W. Murnau´,s Nosferatu. They are different film´,s, but strange way spooky at same way.